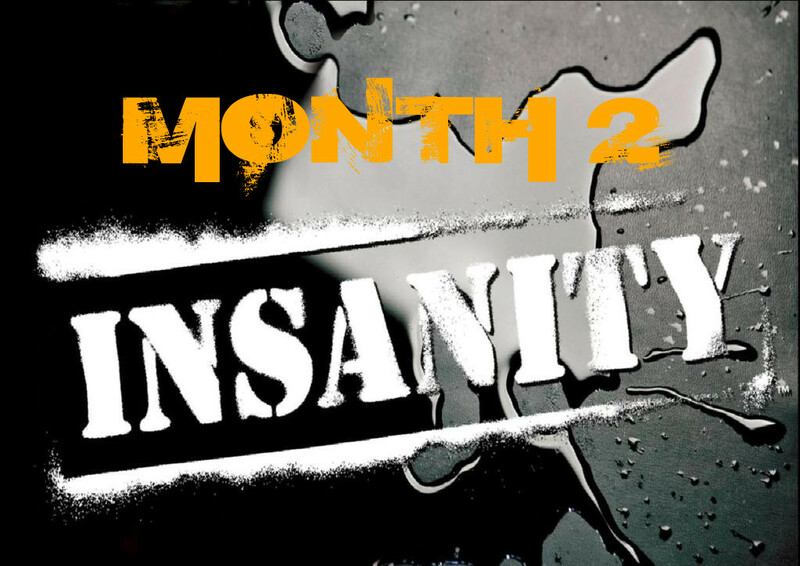 Insanity Month 2 – Will I Die??? 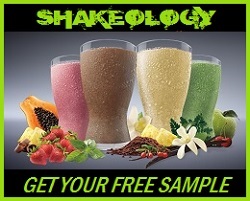 You have heard all the hype about Insanity Month 2, how people are dropping dead after trying the first workout, and now you are feeling a bit nervous about whether or not you will be able to even do it! I know the feeling…First take a deep breath because you notice how shallow your breathing is right now? Even talking about Month 2 can still get me nervous and anxious all of a sudden. Focus with me on taking in nice slow deep breaths because I am going to show you that you have nothing to worry about in Insanity Month 2. Insanity Month 2 – Am I Going To Die? Yes…But dont worry, you’ll feel great afterward! Remember when you started Month 1 and how hard that first week was? You were taking breaks all through out the workout, you could taste blood in your mouth, you had a constant side ache, and for some reason your groin and calves felt like they were giant bruises…Remember how nervous you were on that first fit test? Looking back after 30 days of doing Insanity, how do you feel about Month 1 now? 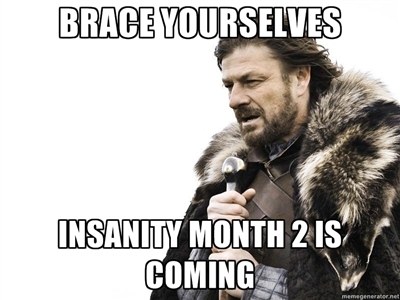 Insanity Month 2 is the exact same way. Ya the workouts are 15-20 minutes longer. Ya there are less breaks and longer intervals. But look how far you have come in just 30 days! Looking back at how nervous you were going into day 1, would you say that you kinda let the “insanity” of Insanity get inside your mind and psych you out a bit? I will admit, that Insanity Month 2 is the hardest workouts that I have ever done in my life. I have never had to push this hard with any workout program. But I let the hype about Month 2 get me all anxious for no reason. Think about the difficulty level of Month 1/Day 1. I would say that Month 2/Day 1 is the same exact difficulty level because over the last 30 days you have been preparing yourself to step it up! You are faster, you have more endurance, you know you can push yourself past the limits that your mind tries to put on you. So get out of your head about it and just DIG DEEP in month 2 and forget about how “good” you are going to do. Show up, push play, keep eating clean, and get results! 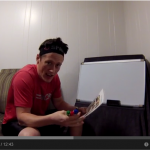 As many of you already know from my post “Coach Todd Fails”, I really fell of the band wagon when I attempted a round of Body Beast. The program is top notch, but I discovered that I can not commit 100% to a bulking diet…I have the tendency to use the excuse, “I am trying to gain weight after all”. Needless to say, I lost a lot of ground from where I ended with P90X2. But the reason I shared that story is so that you can know that its never too late to climb back up that mountain top even after you have fallen from it! 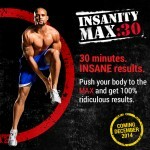 I decided to use Insanity to get back to the mountain top! Going into Month 2 my stamina and speed are off the charts. I started out Day 1 at 189lbs and around 13-14% body fat. In 30 days I have only dropped 5lbs, but check out the abs definition! Just 30 days of Insanity has me on a decent pace to have my full six pack again! I am surprised at how little muscle loss I have experienced as well! 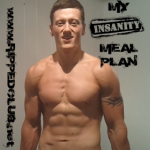 A lot of it probably has to do with the My Insanity Meal Plan that is customized to absolutely SHRED fat and fuel your muscles! 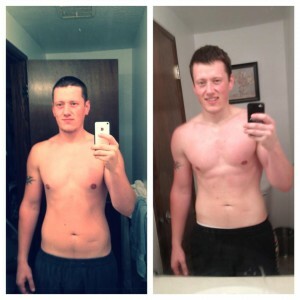 So here are my Insanity results after 30 days. 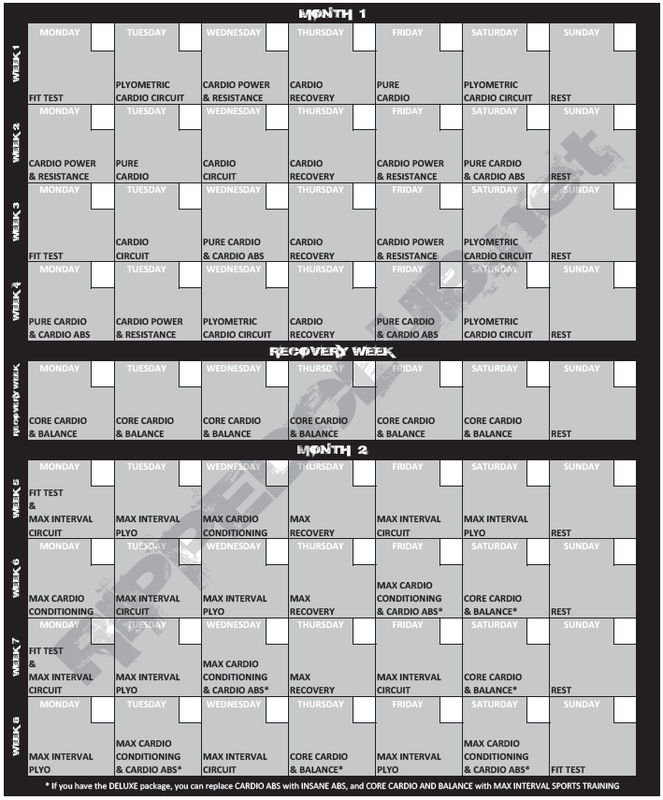 Below you can download a pdf of the Insanity Month 2 schedule by clicking the image below and then do a “File > Save As”, or you can just right click on the image > Save As. I hope this post has put your heart at ease about being able to do the workouts. Its going to be hard, really hard actually…but you just completed 30 days of Insanity…You really think that month 2 is going to be the end of you??? I think not! I BELIEVE IN YOU BECAUSE YOU CAN DO IT! PS – If you want see EXACTLY what’s in my fridge and in my cupboards, along with the simple step-by-step method I used to lose 60lbs and get the body I WANTED…CLICK HERE! PSS – Be sure to LIKE & SHARE if this post helped you out! 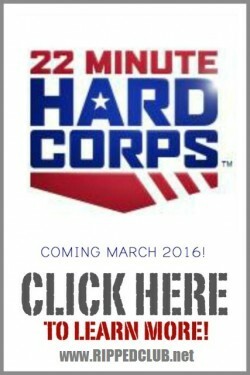 This will help get this resource into the hands of more people who need it! You can help us here at RIPPEDCLUB “END THE TREND OF OBESITY”…Its a great thing to be a part of! i just started with insanity... i was really sporty a few years ago, but the last years i stoped at all... i have to said.. a few days i feel really tired in the exercises.. i can't imagine how will be the second month.. but ur right.. everyday i can do more than the day before! that is an awesome results! !